After a highly competitive first T20I between Nepal and the hosts UAE, there is no break for either team as they take each other on Friday with the series hanging in the balance. With the presence of world-renowned players such as Sandeep Lamichhane and Paras Khadka in their ranks, Nepal is far from pushovers as the likes of Shaiman Anwar and Mohammed Naveed found out in the ODI series. With the second T20 also being played at the ICC Academy in Dubai, the stage is set for another entertaining match between the two budding cricketing nations. Chirag Suri was dropped for the first T20 after a dismal performance with the bat in the ODI series. Although he is an option available to be drafted in, UAE should resist the temptation with Rizwan to be given another opportunity at the top with under-fire opener, Ashfaq Ahmed. Mohammed Naveed and Amir Hayat are key to their fortunes if they are to negate the Nepalese batsmen and win the second T20. Possible XI: Ashfaq, Rizwan, Shabber (WK), Sultan, Anwar, Usman, Boota, Naveed (C), Hayat, Zahoor and Haider. After a good outing on Thursday, Nepal shouldn't be making any changes to a fairly balanced side. Lamichhane's four overs are going to be the difference between the two sides with the potentially world-class leggie proving tough to put away on a sluggish Dubai pitch. Khadka and Dipendra Airee will once again be key in the middle order with their openers looking shaky over the last few matches. Possible XI: Malla, Pradeep(WK), Khadka(C), Dipendra, Paudel, Regmi/Shark, Kami, Sheikh, Bohara, Karan, and Lamichhane. 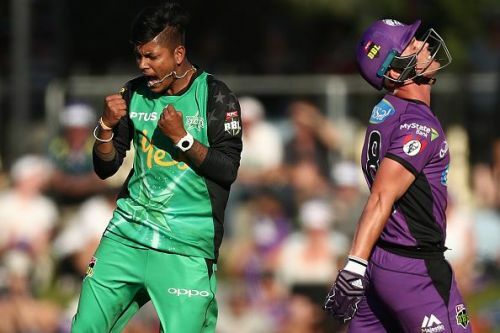 Wicket-keeper: Both Shabber and Airee are decent options to go ahead though the latter could be given the nod owing to his ability to play well on a slow pitch. Batsmen: Gyanendra Malla and Mohammed Usman have been good for their respective countries in the recent past and could be very clever picks come Friday. Adding to the aforementioned duo, Rohit Paudel and Shaiman Anwar are also viable picks for your fantasy sides. All-rounders: Paras Khadka is a must in any fantasy team involving Nepal and along with the experienced campaigner, the likes of Sompal Kami and Ashfaq Ahmed could be very useful. Bowlers: Lamichhane and Mohammed Naveed are must-haves in the fantasy team. Lamichhane is one of the world's premier spinners and has played all over the world, impressing one and all. His performance could potentially decide the outcome of the game. Two of KC Karan, Haider and Zahoor will be sufficient to complete a balanced fantasy team. Captain: Khadka and Lamichhane are the usual suspects with their ability known to one and all. In spite of both Khadka and Lamichhane present, there are other players as well who could justice to the mantle of the captain, such as Anwar and Airee. 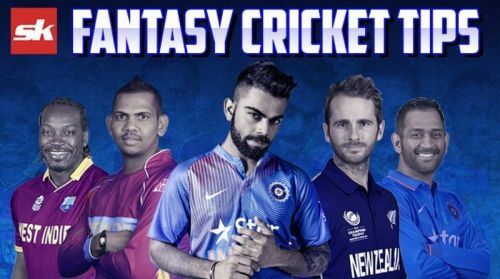 Fantasy Suggestion #1: Ghulam Shabber (WK), Shaiman Anwar, Mohammed Usman, Rohit Paudel, Gyanendra Malla, Paras Khadka, Sompal Kami, CP Rizwan, Sandeep Lamichhane, Amir Hayat, Imran Haider. Fantasy Suggestion #2: Ghulam Shabber (WK), Gynanendra Malla, Mohammed Usman, Mohammed Boota, Rohit Paudel, Paras Khadka, Sompal Kami, CP Rizwan, Sandeep Lamichhane, Mohammed Naveed and Amir Hayat.